When I came across this website I knew this was the Dentist to go to. 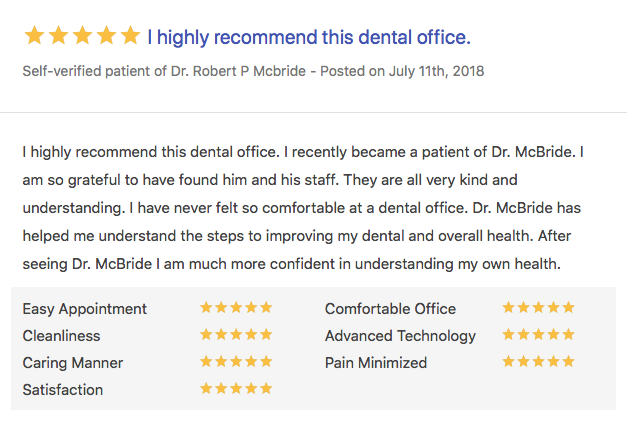 Dr. McBride is the best, he does excellent work, is very thorough and passionate at what he does, great staff and pleasant atmosphere. Thanks Dr. McBride and staff. Intelligent, informative interaction. Always a relaxed environment. An excellent experience with the hygienist and Dr. McBride, as always. 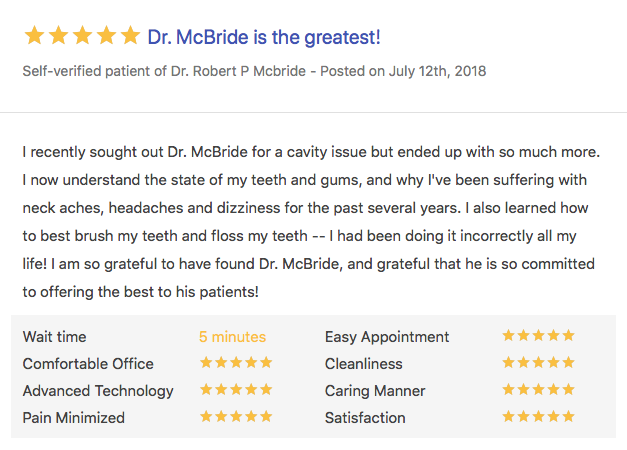 Dr. McBride is beyond exceptional at everything he does. His professionalism, attentiveness and the overall care he takes during every step of the appointment is unparalleled. 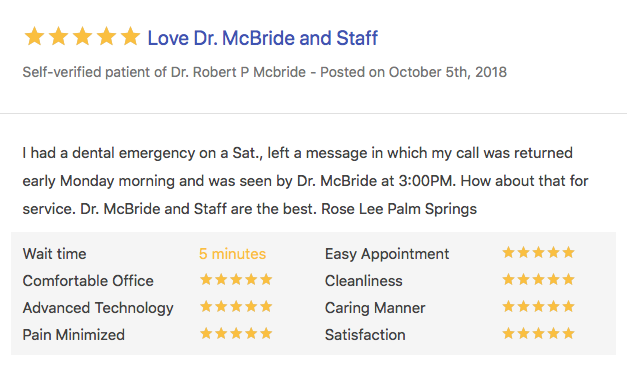 I am so pleased that I found Dr. McBride and have quickly become “married” to his care. I appreciate the education I get when I have a cleaning. I feel more empowered to take better care of my teeth! I love the goody-bag too ;-). Thanks! My wife and I were really pleased with the experience at the first appointment. Dr. McBride took time to get to know me and my dental history. The other staff were also very professional and friendly.